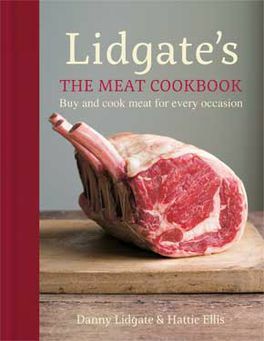 This weekend’s recipes have been taken from Lidgate’s The Meat Cookbook by Danny Lidgate and Hattie Ellis. Lidgate’s is one of London’s oldest butchers which has been a family business for 150 years. 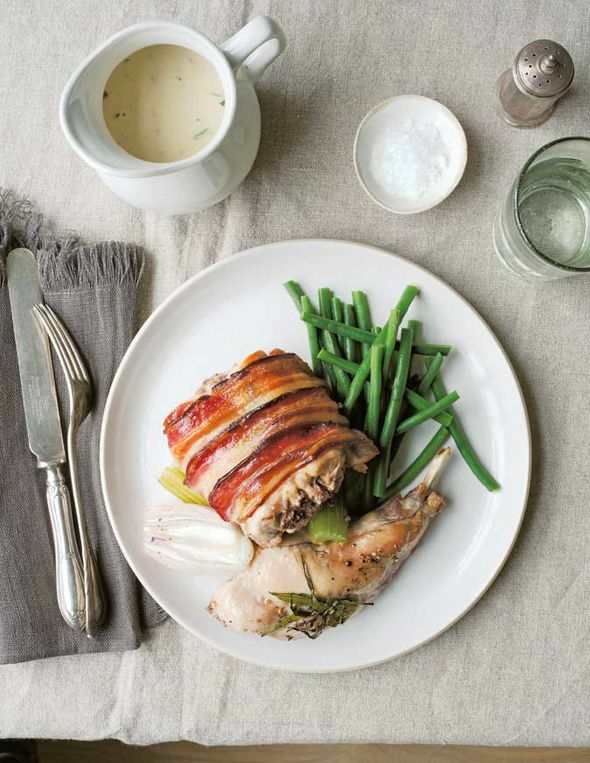 The book has 120 recipes for meat and poultry, from Christmas dinner to the beef pie and roast rabbit dishes which are very tasty. Happy cooking! Put the dripping or oil in a large, flame-proof casserole dish over a medium-high heat. When hot, brown the meat in two or three batches until it is well coloured. Set aside. Add the remaining dripping or oil to the pan along with the onions and a pinch of salt. Cook over a low heat, stirring occasionally, for 10-15 minutes until the onions are soft. Sprinkle the flour over the onions and stir for a minute. Gradually add the hot stock, stirring as you go. Pour in the red wine and sherry, if using. Bring to the boil and allow to bubble away until the sauce has reduced and thickened slightly. Return the meat to the pan. Stir in the redcurrant jelly and black pepper, then add more salt to taste. Cover with a lid and simmer on a medium-low heat for 45 minutes. Stir the leeks and mushrooms into the pan and continue to simmer for another 45 minutes, or until the meat is tender. Tip the meat and vegetable filling into a 30x20cm pie dish. On a lightly floured work surface, roll out the pastry so it is about 5cm larger than the pie dish. Cut a 2.5cm strip from each edge of the pastry, press them on to the rim of the pie dish and brush with the glaze. Press the pastry lid firmly on top of the pastry rim and trim off the excess. Crimp the edges to form a seal. To decorate the lid, re-roll the pastry trimmings, cut out shapes, such as leaves, stars or cow horns, and stick them on the top with some of the glaze. Brush the top of the pie with the remaining glaze. Bake the pie for 30 minutes, until it is nice and brown. Serve with mashed potato and a seasonal vegetable or two. Buttered carrots and cabbage go especially well with this pie. Season the rabbit joints with a little salt and a fair amount of pepper. Lay a sprig of tarragon on top of each piece. Wrap a slice of the pancetta around each piece of saddle and lay more slices over the legs so they fit snugly. Tuck the ends underneath. Put the shallots and celery in a roasting tray and place the rabbit on top. Roast in the oven for 45 minutes, or until the pancetta is crisp and the rabbit cooked through but still juicy. Transfer to a plate, cover with foil and a couple of tea towels, and leave in a warm place. To make the sauce, put the roasting tray on the hob over a medium-low heat. Melt the butter in it, then sprinkle with the flour and stir well. Gradually add the hot stock, stirring hard to mix it with the flour and scrape up any tasty bits in the bottom of the pan. If using rabbit offal, add it now to give extra flavour to the stock. Stir in the crème fraiche and mustard and leave to simmer for a couple of minutes. Bring to the boil and bubble away to thicken slighty. Strain the liquid into a jug and stir in the chopped tarragon. Put the rabbit pieces on warm plates, one leg on each plate. Add the saddle pieces to the forelegs, which are less meaty than the hind legs (give them to the people with the biggest appetites). Pour some sauce on to each plate and serve. Recipes taken from Lidgate’s The Meat Cookbook by Danny Lidgate and Hattie Ellis (£25, Octopus), photographs by Andy Sewell. To order your copy, call the Express Bookshop on 01872 562310, send a cheque or postal order made payable to The Express Bookshop to Express Bookshop, PO Box 200, Falmouth, Cornwall TR11 4WJ, or order online at expressbookshop.com.